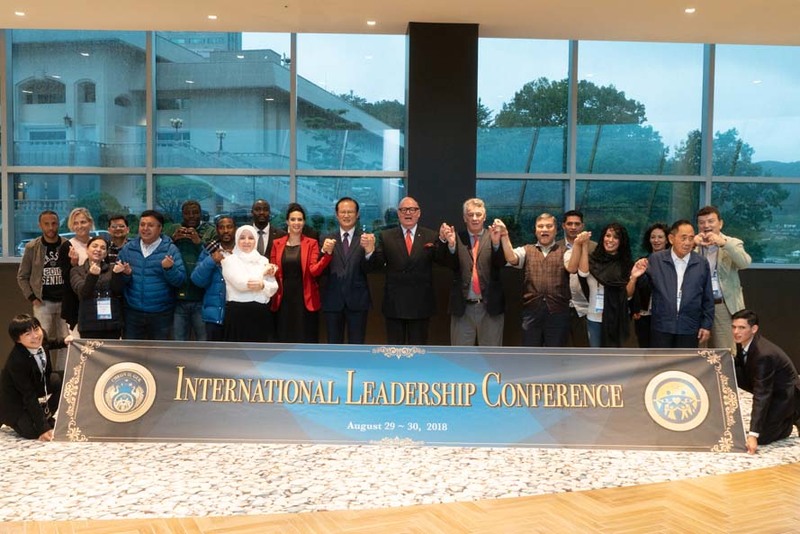 On 7.19 by the heavenly calendar (Aug. 29, 2018) the International Leaders Conference was held at the Cheongpyeong Heaven and Earth Training Center for a 1-day schedule. There was a total of 35 international leaders such as the King of Uganda William Nadiope, Indian Member of Parliament Bhubaneswar Kalita, Honduran Congressman David Armando Reyes Osorto and Former President of the Bolivian Legislative Assembly Luis Vasquez Villamor. While listening to the explanation about Cheongpyeong Works from the president of FFWPU for a Heavenly Korea and Cheongpyeong Heaven and Earth Training Center, Rev. Gi-seong Lee at the Tree of Love, the leaders resonated so much with True Parents’ words and vision. They moved to the 4th floor of the Hyojeong Café for a drink. They were impressed with the beautiful scenery of Cheongpyeong and felt the substantial grace of the Cheongpyeong Providence that True Parents have led until now. After that the international leaders went to the Hyojeong Yeon. We would like to share one of their testimonies.